Pioneers in the industry, we offer digital analytical balance, high precision laboratory balance, 4 digit analytical balance, 4 digit analytical laboratory balance, analytical balance and scale and electronics analytical balance from India. Response Time 4 to 6 sec. Conforms GLP / GMP and ISO 9001Standard. Stabilization Time 2 to 4 sec. 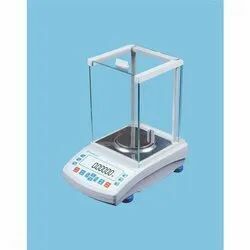 20 standard global weighing units. Based on EMFC MONOLOG single block technology for high weighing accuracy & reliability for daily lab routines. Accessories highly integrated, easy to maintain. Direct access to the windows system, easy to connect to windows software like word, excel…etc. 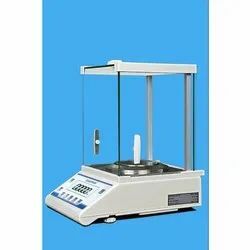 20 standard weighing units like gm, mg, ct, counting, %, animal weighing, oz, dwt, mom, GN. Various weight units like ct. mg. gm. tola, oz. dwt. Standard P5232 interface,1500V isolation fasf USB port connectivity with print and PC. 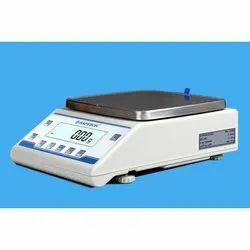 Global Weighing Units - 20 Standard Unites . The user can select two unit at the one time by TOGGLING key. 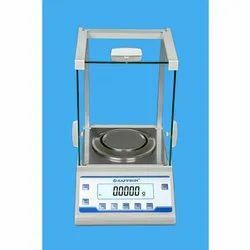 Looking for Analytical Balances ?